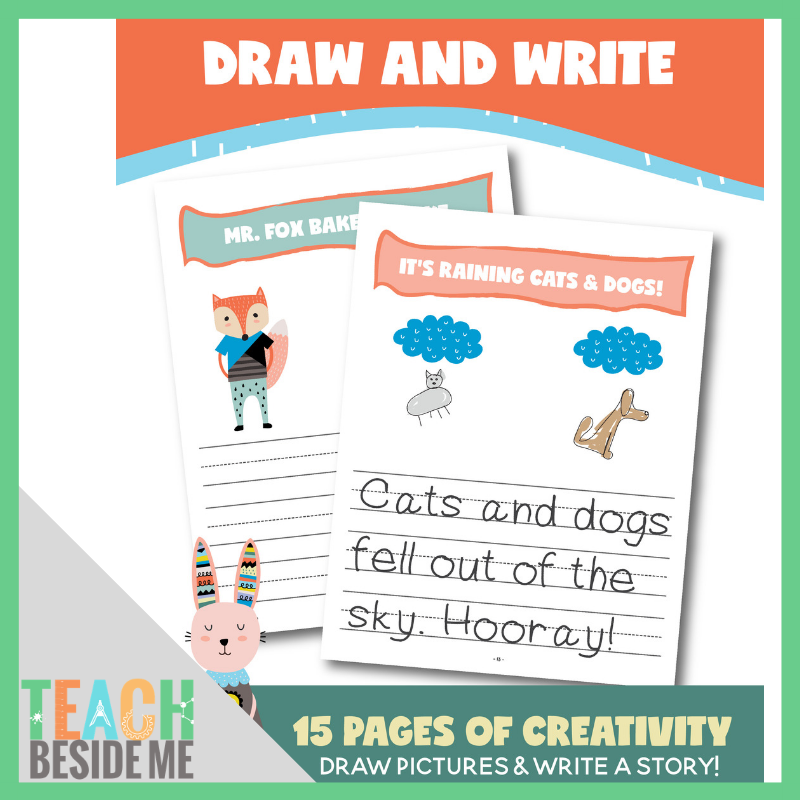 These adorable Draw and Write Creative Writing pages are so much fun for elementary-aged kids. This printable set includes 15 pages of creative titles and pictures that are sure to help kids come up with a story or idea. But, it also gives space for drawing out their story as well. There is a fun little picture to get them started, but they can add to it and make it uniquely their own. This printable is a PDF download, not a physical product.